When Hungarian professor Erno Rubik invented the Rubik's Cube (or, rather, his Cube) in the 1970s out of wooden blocks, rubber bands, and paper clips, he didn't even know if it could be solved, let alone that it would become the world's most popular puzzle. Since its creation, the Cube has become many things to many people: one of the bestselling children's toys of all time, a symbol of intellectual prowess, a frustrating puzzle with 43.2 quintillion possible permutations, and now a worldwide sporting phenomenon that is introducing the classic brainteaser to a new generation. 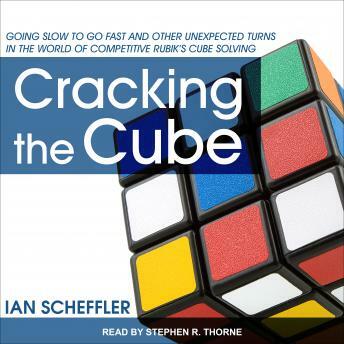 In Cracking the Cube, Ian Scheffler reveals that cubing isn't just fun and games. Along with participating in speedcubing competitions-from the World Championship to local tournaments-and interviewing key figures from the Cube's history, he journeys to Budapest to seek a meeting with the legendary and notoriously reclusive Rubik, who is still tinkering away with puzzles in his seventies.